Hey there, beautiful Friends! I have a sweet makeover for y’all today! You may remember this one from last Summer. I was contacted to see if I wanted to collaborate with Behr paint on a project. Would I like the opportunity to work with my favorite paint? Um, yes! 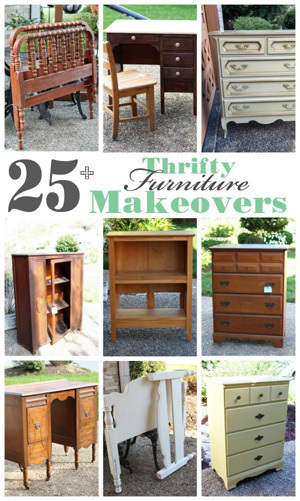 I was only allowed to share a teaser photo of my project here on my blog, and you had to click over to their site to see the rest of the makeover. 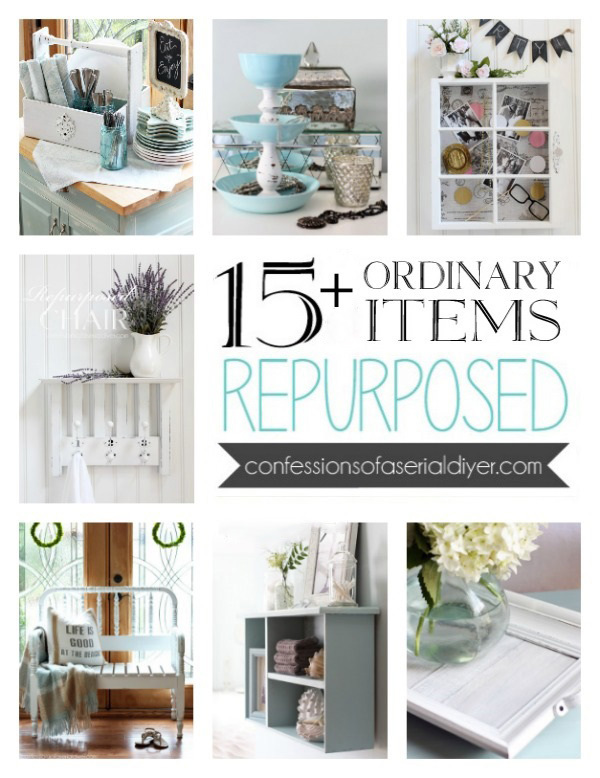 Today I’m sharing the whole shebang here, including never before seen photos! We acquired several of her pieces last Fall. This was just a simple wood dresser, but these simple pieces can be a lot of fun to play around with. I decided to use one of my favorite new-to-me at the time Behr paint colors, Sunken Pool, that I made into DIY Chalk paint. (Recipe with video HERE.) I’ve since used this color many times, and it has become one of my favorites. 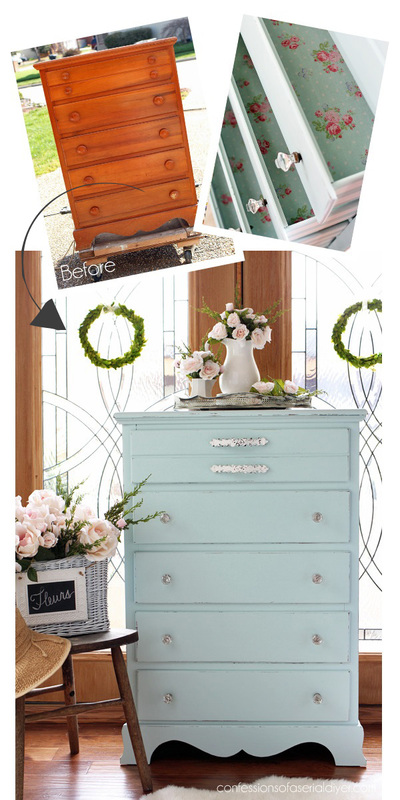 Almost doesn’t even look like the same dresser, Right?? They add so much charm. And do you spy that pretty fabric? 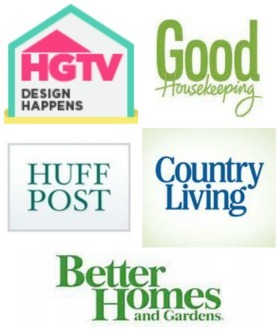 That’s where the cottage inspiration comes from! I found that at Hobby Lobby too. It coordinates perfectly with the paint color, Sunken Pool! I also added stripes to the sides of the dresser. Wouldn’t this fit right in in a seaside beach cottage? Oh how I’d love to have one of those some day! 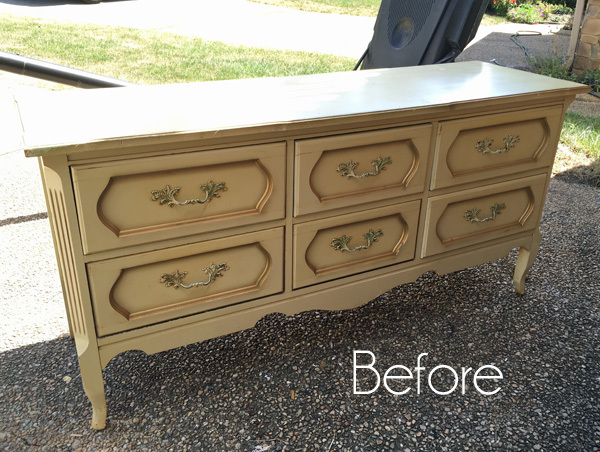 See how I updated this dresser HERE! 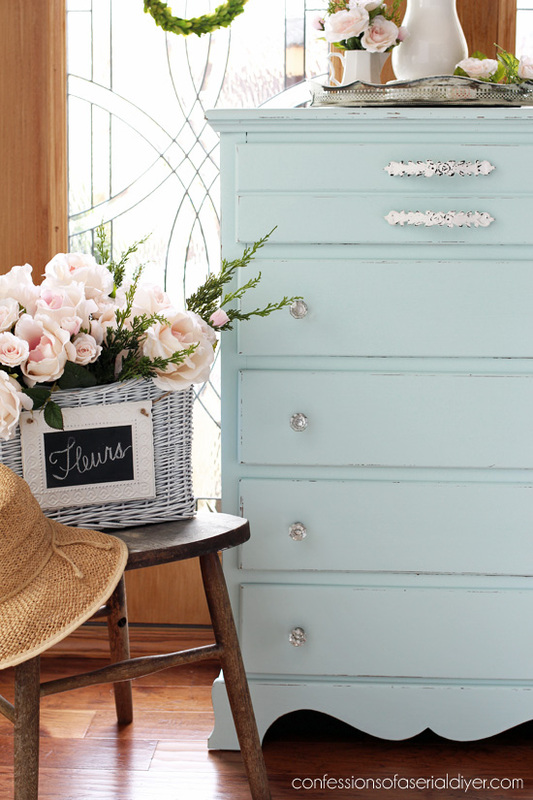 I’ll be back on Thursday sharing this dressing table that I scored for…ready for this?? $35! 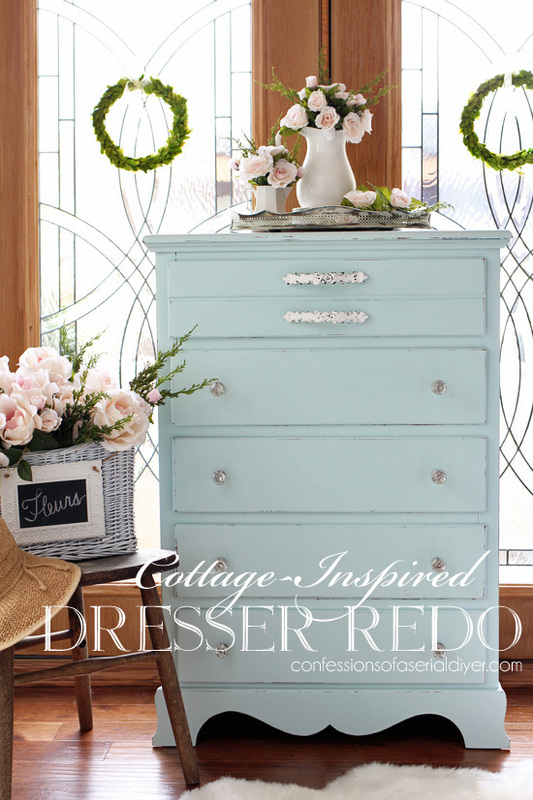 Christy, I know Behr was thrilled with this dresser. I know I am. 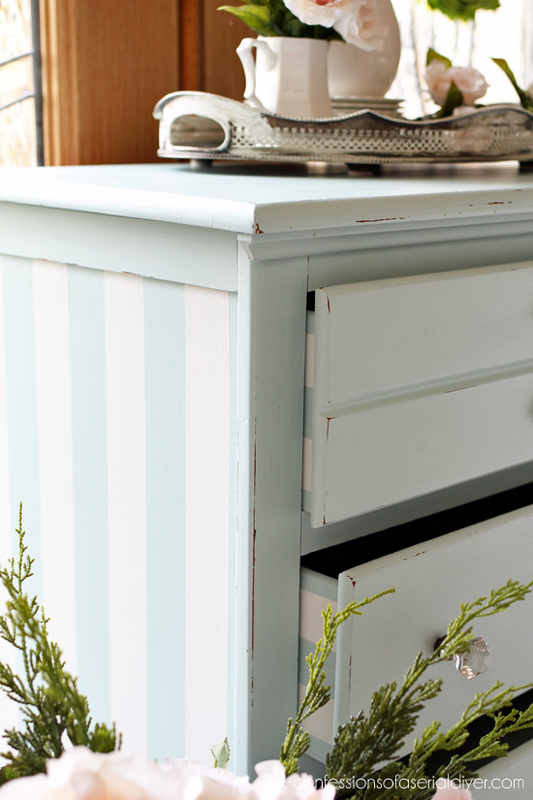 I love the colors, the stripes .. and on the sides of the drawers, brilliant. The fabric instantly brought an even bigger smile to my face. Love the hardware. GREAT job! I know this won’t last long in your booth!! I can’t wait to see the dressing table. 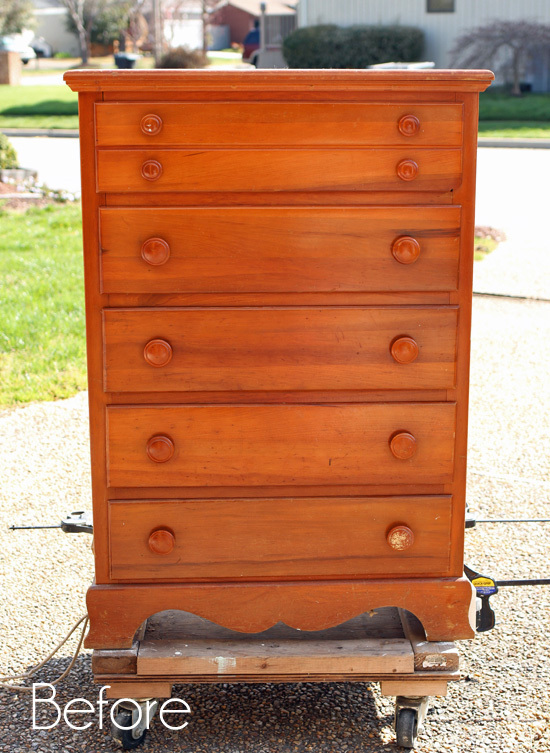 Wow, look at those “earrings” on the drawers! I love this piece! I’m actually painting a chest of drawers similarly because I love it so much. I see that you painted the drawer sides. 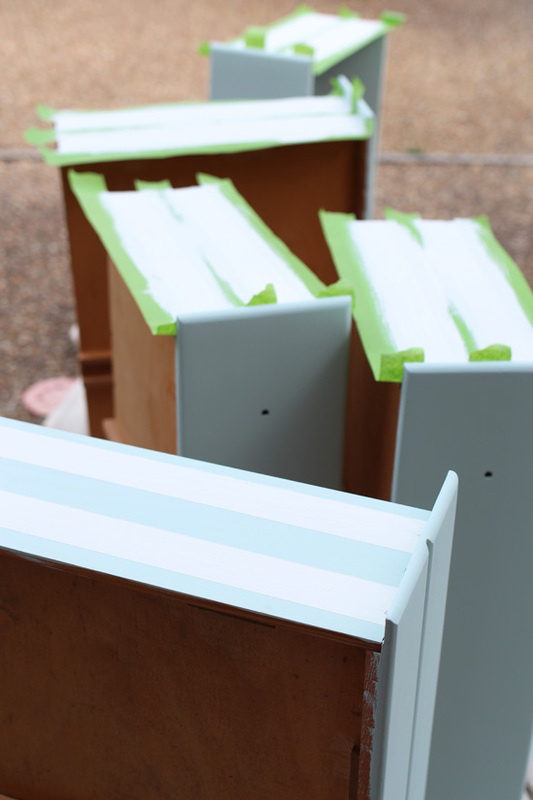 Did you paint inside the drawers or only the top edge? I ask because I am painting a side table that I have to paint the complete outside but wasn’t sure about painting the inside. Thanks! Amazing, once again!!! 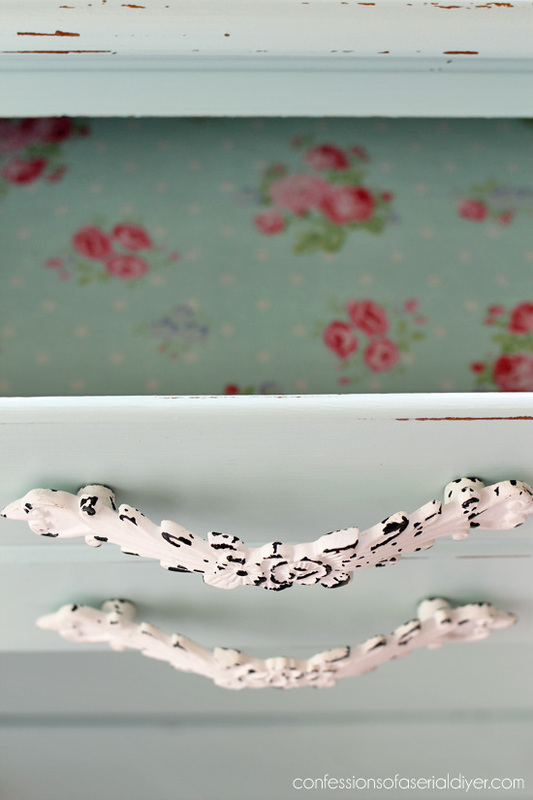 This dresser is so cute and I love all the detail!! Such talent you have! 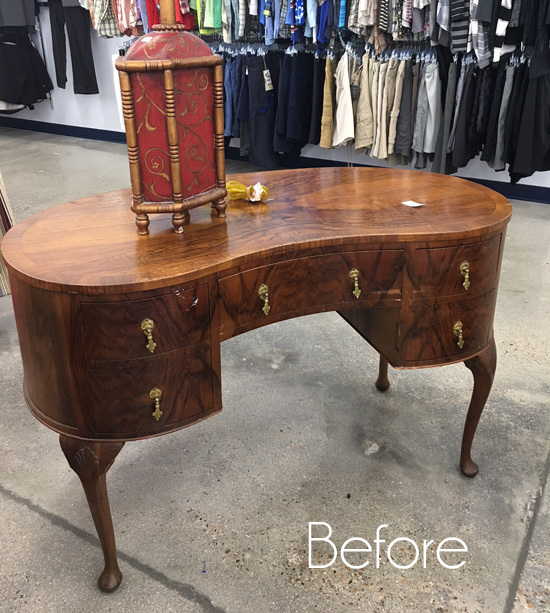 Love this makeover inside and out. Great job and beautiful color of paint. I absolutely love this! I wish Grandmother could see it now. Well done. Pretty! 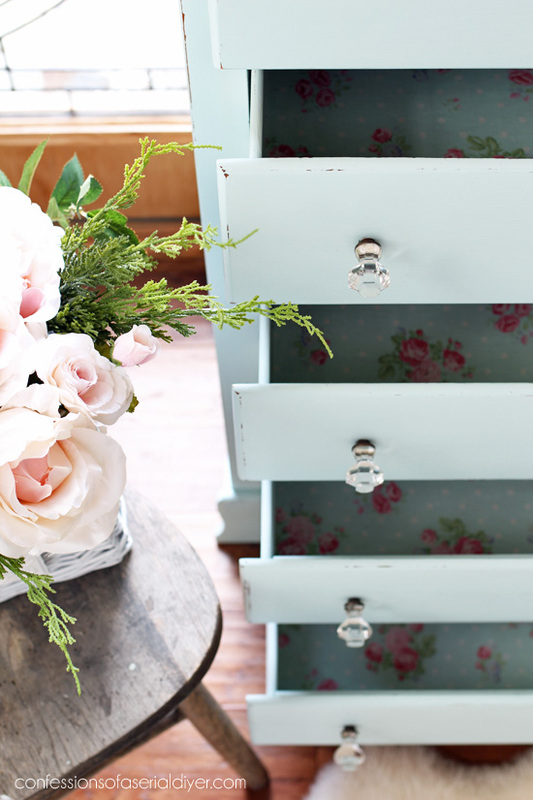 What do you do with the wooden pulls that you remove? Do they ever get used on a different project? Christy, I love it! Especially the stripes on the side. Yes, I would love a seaside cottage too! One summer we rented a house on Lake Ontario for the family. It was the best vacation we have had! Just laid back and did whatever we wanted. The grandkids were just babies. I would love to do that again, now that they are older. You got me dreaming of that vacation, anyway, the dresser looks spectacular! Hope you get a chance to stop by and see what I did with my sink wall on Thursday. OMG, that dressing table you found has the most beautiful wood grain I’ve ever seen!! <3 <3 I want it so badly… how are all of your stores so stocked with good stuff? You can't even find something like that at an antique store unless you want to pay $800. 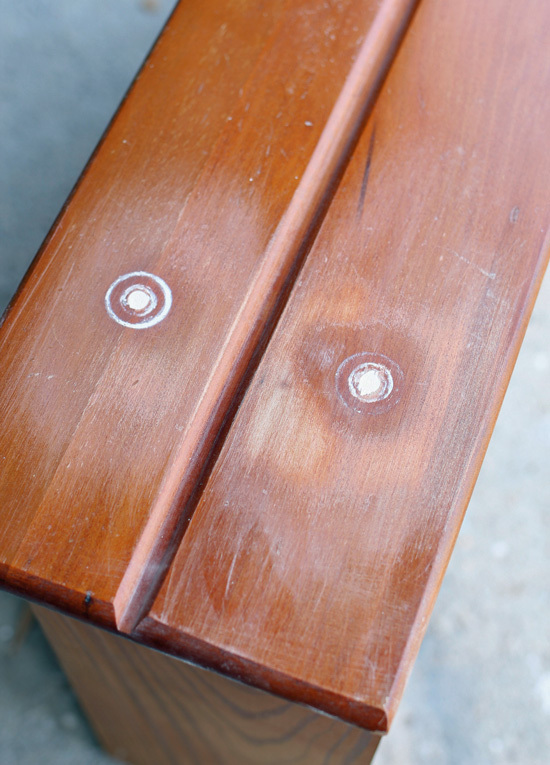 I know it's not my place, but you could always put on one coat of clear shellac on those really valuable wood pieces before painting… that way the original wood grain is preserved and you can still paint it. 🙂 Who knows? Maybe whoever buys your dressing table will be so in love with it they'll pass it on to their kids, and their kids might want to eventually remake it, and they'll have the choice of wood or paint. I'm normally not such a wood fanatic, but I'm just begging out of love for that grain. <3 You do you, though. 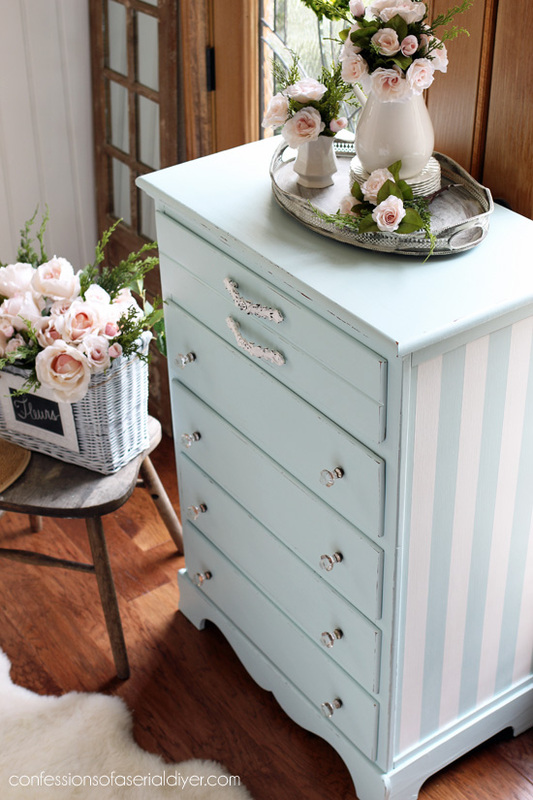 Your dresser is adorable–love the stripes and fabric lining! what color did u use on the dresser? Hi Francine…this is Sunken Pool by Behr. Did you use the Sunken Pool color full strength, or mixed with some white? I love the insides/and details of all your projects. Great looks, and this soft blue is GREAT! I love that color! I’m gonna have to get some of that color for a few of my projects! And the new drawer handles really class it up! Can’t wait to see what you do with that dressing table! This is one of my favorites!!! I have followed you for over two years…thought I better tell you how wonderful this is! Oh this has to be one of my favorites 😃I absolutely love the color,the stripes,drawer pulls ,the sides of the drawers & the inside. What a fun surprise to pull a drawer open & have the stripes.Did you have room to keep for yourself?Have a wonderful week. Someone may have asked but did you use modge podge to adhere to bottom of drawers. You outdid yourself on this one! I adore its look!! And you scored the kidney shaped one for $35?! wow! 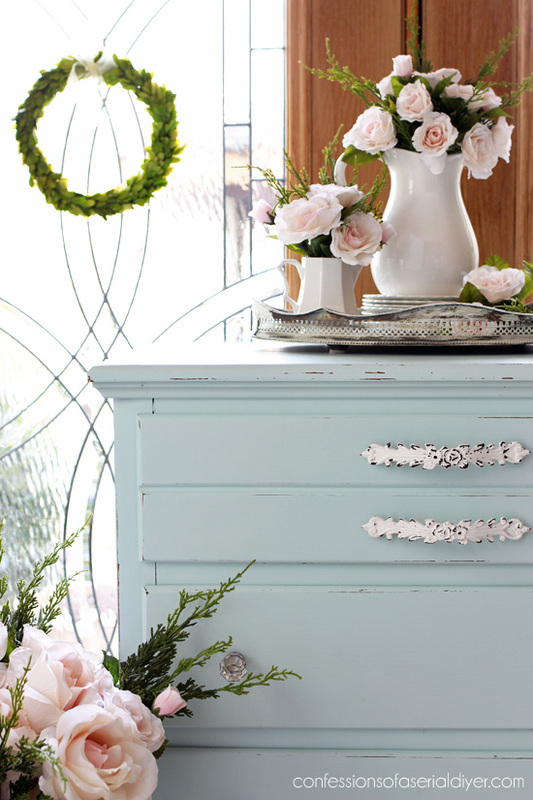 Oh that dresser is beautiful!! As always, I love your work. Can’t wait until Thursday. You are such an inspiration. When you do use Mod Podge on the bottom of the fabric do you also put a coat over the top of the fabric? Thank you again for such inspiration. It is just darling! 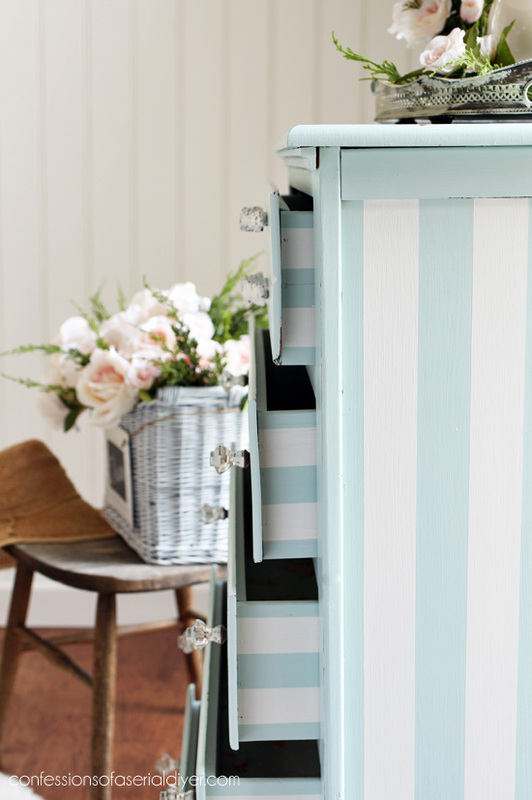 I love the stripes on the sides of the drawers and the fabric inside them is perfect! Wait, whaaaaat? 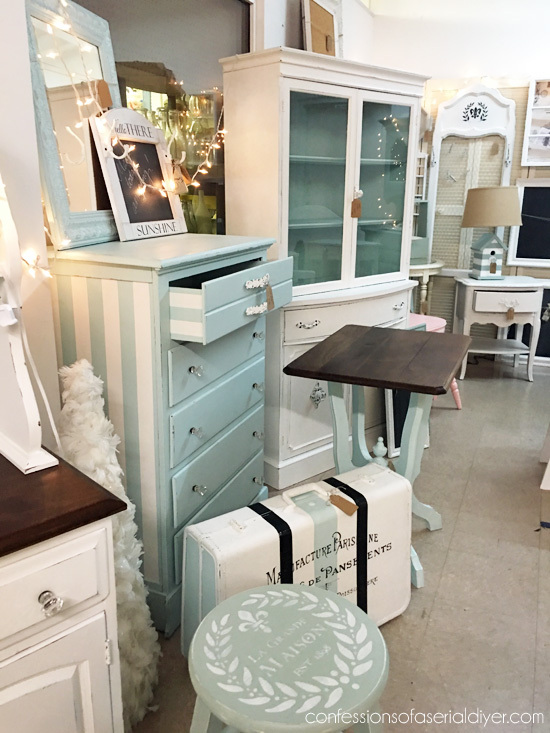 I didn’t notice the awesome stripes on the sides and drawers when I saw this gorgeous makeover on Facebook! 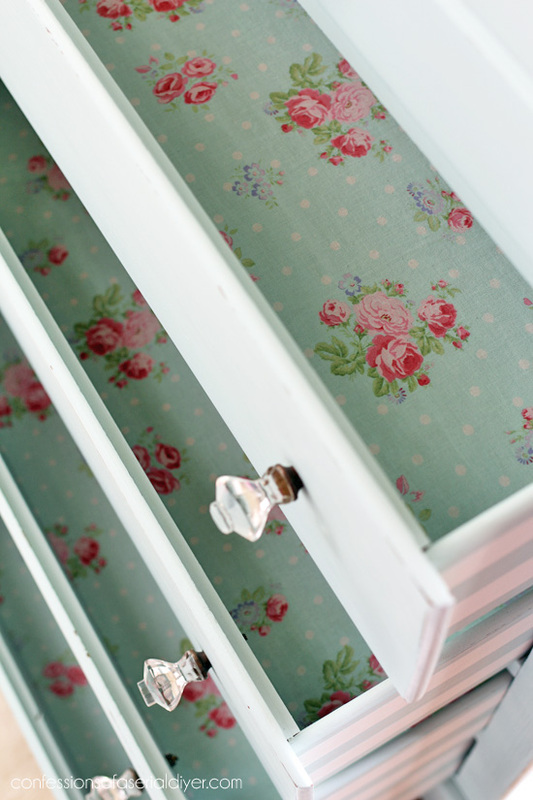 Love the pretty paper you lined the drawers with too. This piece is gorgeous! 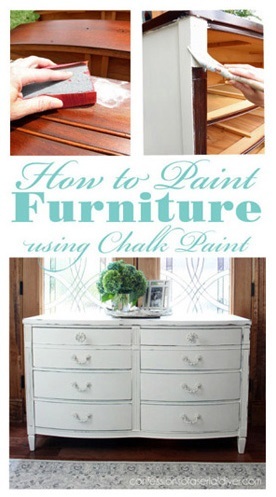 Did you use Behr’s Chalky Paint or latex? I have a piece I’d like to try this on.